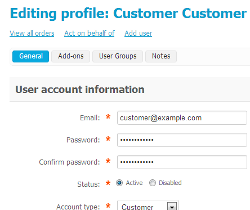 CS-Cart “Customer notes” add-on allows the administrator to add a note/notes about a customer on a customer profile page and order details page in the admin back-end. It helps to remember useful information about a customer and act according to it. The notes are for the admin's convenience only, customers don't see them. customers are not able to view the notes made by admin. The add-on is compatible with CS-Cart 2.2.х, 3.0.x., 4.0.x - 4.3.x. How to add a note to order details page in the admin back-end? 1. 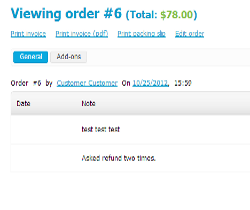 After the add-on installation, please go to Orders -> View orders, click View next to the necessary order. 3. Click the Add note button to add a note. 4. Enter your note in the Note field. 5. Press the Create button. 6. If a customer is registered this note will appear on a customer's profile page in the admin back-end (Customers -> Customers, click "Edit" next to a necessary customer) and on all further order details pages of this customer. If a customer is not registered this note will appear on all further order details pages of this customer in the admin back-end. 7. 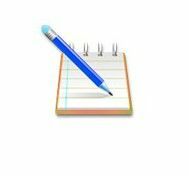 All notes can be edited and deleted by admin. How to add a note to a customer profile page in the admin back-end? 1. Go to Customers -> Customers. Click Edit next to a necessary customer. 2. Click the Notes tab on the editing profile page. 5. This note will be saved on a customer profile page in the admin back-end and will appear on all order details pages of this customer in the admin back-end. Note! Customers don't see any notes, notes are visible to the administrator in the admin back-end . 1. Download the archive with the Customer notes add-on (Notes about the customer for CS-Cart 4.0.x). 3. Log into the administration panel of your store, go to the Administration -> Add-ons page (Add-ons -> Manage add-ons in CS-Cart 4). 4. In the list of add-ons find the Customer notes add-on (Notes about the customer for CS-Cart 4.0.x) and click Install opposite to its name. 5. That's all, the add-on is installed. Click "Notes" tab to add a note. We have checked this add-on once more. It works properly. As we understand you used a demo for testing. Yes, there were some problems with pictures on the demo version. We are fixing it now. Thank you a lot for your notice. "I was ready to pull the trigger and give you my money, but in your demo I can't get any pictures to work and thats one of the reasons I was going to buy it. It lets me select a picture or even use a URL and the picture shows in the edit window. .but when you save it, the picture doesn't show at all in the notes." We offer free installation only for unmodified CS-Cart. If you have some third party modules installed, you can also ask for a free installation, generally the Customer notes add-on is not supposed to conflict with any third-party mods. If your modifications are made according to CS-Cart standards, there shouldn't be any problems. But if we happen to notice any incompatibility issue, we will contact you and may require additional charge for the installation." "Cna you install this for us, and if so will it effecdt any of the mod's we have done. Will it conflict with anything, and will you make sure of this before installing?" Yes, the download package will be available right after the purchase. If you experience any problems, don't hesitate to contact us at manager@alt-team.com, we are always ready to assist!" "Can I download it instantly after the purchase, if I don't want free installation? reply to : black***@gmail.com please"